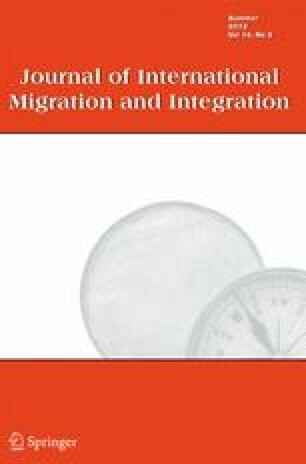 This study examines how non-Western immigrants' acculturation strategies are related to managers' hiring rankings. It examines whether hiring managers differ in personality trait inferences depending on whether the candidate is a Turkish immigrant or a native Norwegian. Managers (N = 436) evaluated three job applicants in terms of personality and hirability. Across three experimental conditions, the information of one (target) was manipulated and presented as either a native, as an integrated Turkish immigrant, and as a separated Turkish immigrant. The separated Turkish target received lower hirability rankings compared with the other target applicants. The integrated Turkish target was rated as more open, extraverted, conscientious, agreeable, and neurotic than the two other targets. Personality ratings of the Norwegian and the separated Turkish target did not differ significantly. Evaluations of personality were associated with hiring ranking of the Norwegian target only. (Norwegian target applicant, n = 214): Wearing a suit and a tie for the interview. No sentence describing his socializing pattern with others. (Separated target applicant, n = 103): Wearing a traditional Turkish costume for the interview. He mentions that he socializes with Turks only. Clothing style and socialization pattern were used to serve the managers with impressions of the immigrants’ acculturation strategy. Clothing is a form of non-verbal communication, described as a “systematic means of transmission of information about the wearer”(Damhorst 1990), suggesting that viewers translate cues into meanings, whether intended, unconscious, or imagined, from another’s dress (Johnson et al. 2002). The socialization pattern indicates the immigrants’ willingness to initiate and maintain contact with majority group. In attempt of convincing the managers that the immigrant applicants’ language is evaluated as adequate, the interview resume (conducted by colleagues within the organization) does not refer to language as an important issue to consider. Also, the content of the information presented in the resume indicates that the applicant communicates precisely and is easily understood. In addition, the resume refers to a successful work career both in former, and in his present job, indicating that he is well adjusted in the Norwegian work life. The immigrant applicants are both presented as formally well qualified and integrated in work life (public domain). However, the separated target applicant is described as separated in the private domain while the integrated target applicant is described as integrated in the private domain. James, E. H. (2000). Race-related differences in promotions and support: Underlying effects of human and social capital. Organizational Science, 11, 493–508. http://orgsci.journal.informs.org/.